All over the world, less and less couples are getting hitched before having children. This could be due to a multitude of reasons. A shift in culture, being children of divorced parents, better access to reproductive care, prioritizing college over marriage, and sharing debt are some of many reasons people don’t get married as much as they used to. Nowadays, two out of five births in the United States happen to couples that are not married. Unfortunately, the law treats these children of unmarried couples and the unmarried couples themselves very poorly compared to married couples with children. Family laws are not keeping up with changing times. The United States, more or less, offers unmarried couples with two options. Either get married, or essentially be treated as completely unrelated people. This is dangerous for a lot of reasons. First of all, it puts pressure on couple to get married irresponsibly, and subsequently deal with the horrors (emotionally, legally, and financially) of divorce. It is also horrendous towards people who have been cohabitating together for years and will essentially receive no assets from their partner if their partner dies or they split up. When a child is in the mix, it can get even messier. Common misconceptions about cohabitating couples and unmarried parents. Everybody’s doing it. While many people are cohabiting, half of people are living alone or living in a marriage. Cohabitating is a good way to test out a future marriage. While this would make a lot of sense and be a logical thing to do, recent studies have shown that cohabitation to test marriage compatibility experience divorce after eventual marriage at a higher rate than those who did not live together. This is commonly referred to as the Cohabitation Effect. However, couples that move in together after getting engaged do not experience this spike in divorce once married. This makes sense when you think about it. Couples who end up marrying after living together may do so out of convenience. It would just make sense to get married after living together for a long time. This sort of ‘drifting’ into marriage seems to end with couples drifting out. The commitment in getting engaged seems to make the difference. Cohabitation is easy. Living together will always have its challenges, period. Just because a marriage license is not involved doesn’t mean cohabitating couples don’t live almost exactly the same as married couples. Cohabitation is the same thing as marriage. While very similar, cohabitation and marriage are very different as well. Married couples receive asset protection and tax breaks when married. Unfortunately, in the United States, cohabiting couples do not have the same privileges. Cohabitation is bad. Cohabitation could be the best situation for a couple. It could also go wrong. Like a marriage, cohabitation depends on the people involved. The only inherently ‘bad’ thing about cohabitating is the lake of legal support compared to marriage. What steps should unmarried parents take to ensure they are considered the legal parents of their child? Make sure both parents are listed on the child’s birth certificate. A parent’s name can be added to a birth certificate through a state’s Bureau of Vital Statistics. In some places unmarried fathers must sign an affidavit or acknowledgement of paternity. While this isn’t required in all places, it is a good idea to do. Writing, signing, and notarizing a statement that acknowledges the father’s paternity is an added step that can come in handy later on down the road. This statement can also be legally filed along with the child’s birth certificate. Is there nothing we can do to receive protections that married people have? Unmarried couples can get some protections that married couples have by preparing a durable power of attorney for healthcare, a living together or domestic partnership agreement, a will, and a durable power of attorney for financial management. These things will allow your partner to receive the assets of your choice should you perish, and also gives your partner authority to make health care and financials decisions for you if you are unable to. The living together or domestic partnership agreement is a contract that protects both parties’ assets, property, and finances should they split. The big problem every unmarried parent faces when splitting up. Because the United States treats unmarried couples as strangers, facing a breakup could mean loss of assets, unfair division of property or finances, and an even messier custody battle over their child. Although Florida family law attorneys and child custody lawyers are there to assist with these things, unmarried couples will still face a lot of legal obstacles. Offering a wider range of legal contracts related to relationships and cohabitating, like other countries have implemented, makes a lot of sense and could solve a lot of problems. France offers the pacte civil de solidarité, a contract that binds two people together with benefits similar to legal marriage but can be dissolved through a formal letter or by getting married. A popular Dutch contract has similar benefits. Their “cohabitation agreement” formalizes the relationship and specifies where assets and expenses stand if the relationship ends, but is not a formal legal marriage. Who can I call for help with my Glendale, Arizona family law case? The stakes are high when you’re faced with custody and a Glendale family law matter, especially in Glendale, AZ. 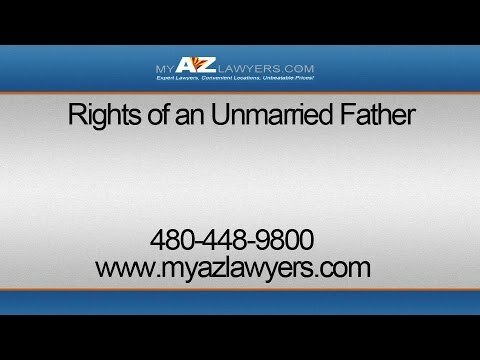 When you need a family law lawyer or child custody lawyer you can trust, My AZ Lawyers can help. My AZ Lawyers is a law firm featuring a staff of experienced family law lawyers and child custody lawyers. Relationships and partnerships are messy, but getting help to protect yourself and your assets after a split doesn’t have to be messy. The attorneys at My AZ Lawyers, PLLC have niche expertise in the legal areas of divorce, custody, and family law matters. My AZ Lawyers can offer an attorney that will fight for you and your family. Contact us today.